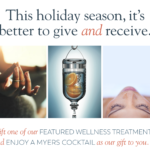 As an integrative psychiatrist, Dr. Ballen enjoys going beyond psychiatric medication to help clients heal with a variety of traditional and holistic modalities, from nutrition and massage to the uniquely restorative, healing, and effective results that can often be achieved with IV therapy. When not helping clients optimize their health and wellness with stem cells, peptides, NAD+ IV therapy and other advanced infusion treatments, Dr. Ballen treats patient of all ages at our sister center, Ballen Medical & Wellness. An expert in the integrative and holistic treatment of depression, anxiety, Bipolar, ADHD, OCD, PTSD, and other challenges, Dr. Ballen has served as Sub-Investigator for numerous clinical research studies and is a member of the American Psychiatric Association, American Academy of Child and Adolescent Psychiatry, and the Colorado Child and Adolescent Psychiatric Society. Dr. Ballen has received IVC Protocol Certification from the Riordan Clinic in using IV Vitamin C for cancer-related therapy, and is licensed to treat addiction with Suboxone and Sublocade, Naltrexone & Vivitrol in addition to the IV detox program she’s developed. As Executive Director of Colorado Recovery Infusion Center as well as our sister center, Ballen Medical & Wellness, Tara oversees the management of both centers. Although busy running the centers and training our IV team, Tara still makes time for her first passion: helping IV clients with their journey towards optimum wellness—wherever on their journey they might be. Tara’s passion for holistic healthcare and adjunctive IV therapy led her to our center in 2016, and she strives to make sure our infusion clients achieve their health and wellness goals as effectively and comfortably as possible. 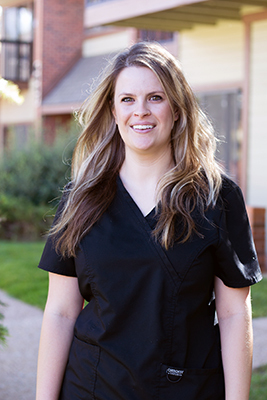 Tara graduated from nursing school in 2005, and achieved her CRNI (Certified Nurse of Infusion) certification in 2009. She’s an active member of the Infusion Nurse Society and has received IVC Protocol Certification from the Riordan Clinic in using IV Vitamin C for cancer-related therapy. In 2017 she received her IV Nutrient Therapy certification, and recently she completed additional training in advanced NAD+ infusion protocols, stem cell infusions, and peptides from Dr. Craig Koniver at Koniver Wellness. 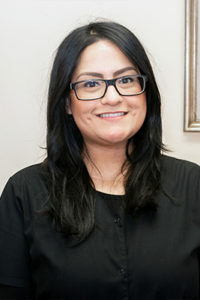 Carrie brings a strong background in primary care to our center, with 13 years of experience as a Physician Assistant. 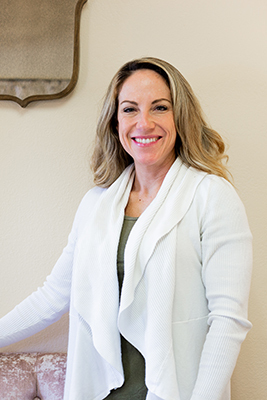 Certified to prescribe medical infusions and other medication when needed, her practice has also included health coaching, fitness training and corporate wellness. You can often find Carrie consulting with patients in the infusion center, answering questions, listening to their needs, and rounding out their infusion therapy with a better understanding of supporting lifestyle interventions. Bringing a collaborative and integrative approach to her work, Carrie loves to bridge the physical, emotional and habitual elements of wellness. She also loves that her job doesn’t neatly inside of a single box. She’s able to meet clients and learn from them where her skill set can best serve them and their goals. 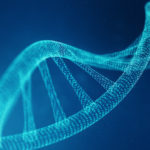 For instance, she might discuss a medication refill with a client and learn that they could benefit from help finding direction in their personal life, at which point her health coaching might come into play. Born and raised in Colorado Springs, Carrie’s family includes 2 sons, 2 dogs, 2 cats, and 2 turtles. When she’s not out skiing with her boys, she enjoys fitness, painting, and listening and dancing to music. 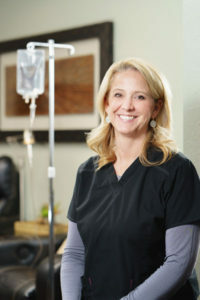 She holds an undergraduate degree in chemistry as well as a Physician Assistant certification from the University of Colorado Health Sciences Center. Amber graduated from Denver School of Nursing in 2010 with an Associate’s Degree in Nursing, and more recently received her Bachelor’s of Science Degree in Nursing in 2017 from Western Governors University. Some of favorite parts of being at the center is the family-like atmosphere and working alongside a group of people truly dedicated to helping people. 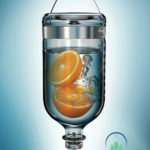 She also loves seeing the transformations that are possible with IV infusions, and how helpful they can be for clients experiencing all kinds of challenges and chronic issues. Amber was born in Denver and grew up in Aurora, where still currently lives, as do her two sisters, two brothers, and two nephews. She enjoys her close-knit family and friends, and spends as much free time as she can with them when she’s not hiking, camping, attending live music or reading. An active member of the Infusion Nurse Society as well as the nursing honor society, Sigma Theta Tau International, Jessica’s nursing perspective is to be mindfully present with each client. This means meeting them where they’re at mentally, physically, and emotionally to assist them in navigating their path to wellness. Jessica brings 14 years combined nursing experience to our center, including a background in emergency care. Her favorite part of her work is meeting patients and learning about innovative infusion therapies. Her favorite infusion at the moment is the Myers Cocktail with the addition of 10mg of additional Vitamin C.
A native of Los Angeles, Jessica loves dispersed camping with her family and getting off the grid. She’s currently pursuing a Master’s of Science in Nursing with a concentration as a Family Nurse Practitioner (anticipated Spring 2020).